The tour is perfect for those wanting to discover an authentic diamond experience. Tour duration is approximately 45 minutes and complimentary transfers are available upon request. Booking in advance is recommended. Download a complimentary entrance ticket to the Diamond Experience Tour here. Situated at the foothills of Table Mountain and the Atlantic Ocean, awaits the captivating Shimansky Diamond Experience. Discover the remarkable journey of a diamond direct from mine to finger. Each diamond is hand-selected and ethically sourced. No middle men are used to bring the diamond to you and value saved is passed directly onto you. The Shimansky Diamond Experience offers an insight into the diamond world, like no other. Enjoy a personally guided tour, conveniently located at the coveted Waterfront harbour. With nearby attractions such as Robben Island and the Zeitz MOCAA, this top attraction is not to be missed. In the hands of a master craftsman, a diamond realises its true potential. 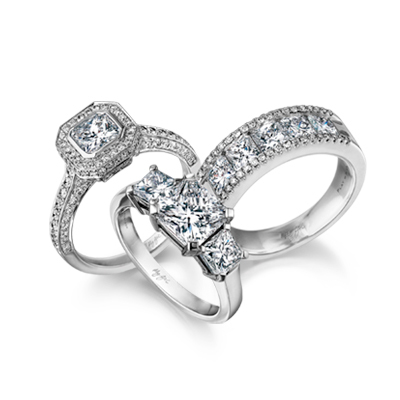 Carefully selected, each diamond is cut and polished to perfection, resulting in a brilliance visible for life. Unlike any other sightseeing destination, the Shimansky Diamond Experience offers a complete look into the world of diamond cutting and polishing. Witness brilliance in the making with our interactive in-house Shimansky Diamond Cutting and Polishing Factory. Experience the transformation of a rough diamond into a beautiful faceted gemstone right before your eyes. In addition to the remarkable diamond tour, the Shimansky Experience offers an opportunity for you to try on some of South Africa’s most renowned diamond cuts. These internationally patented and signature creations include the Millennium collection, the Two Hearts Collection, the My Girl, the Evolym and the Ayanda Queen of Tanzanite – a true African keepsake. Make your trip to Cape Town one to remember.